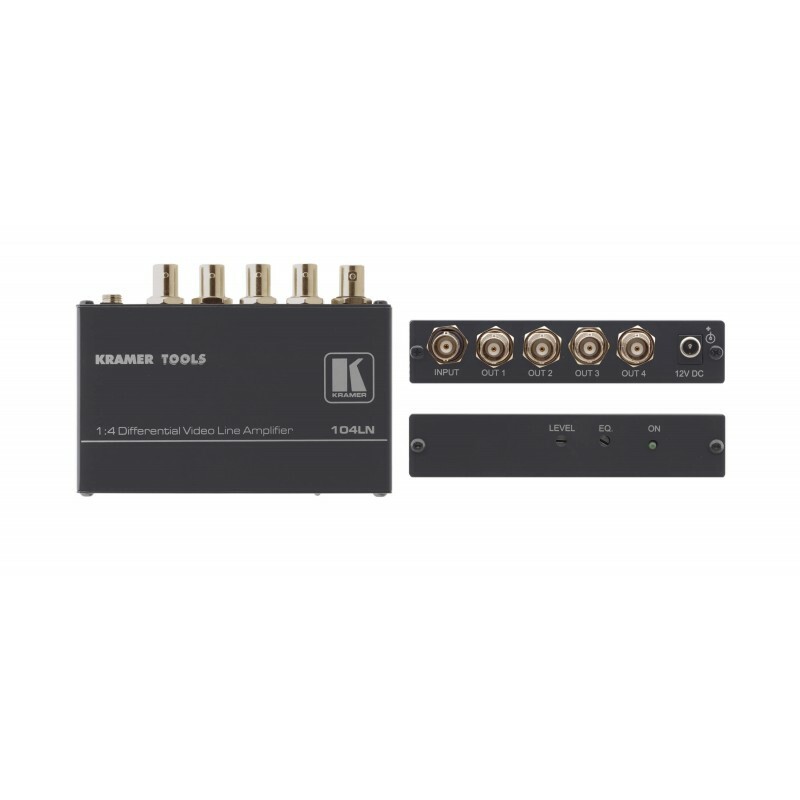 Size — TOOLS: Mount 3 units side–by–side in a 1U rack space with the optional RK–3T rack adapter. High Bandwidth — 423MHz (–3dB). 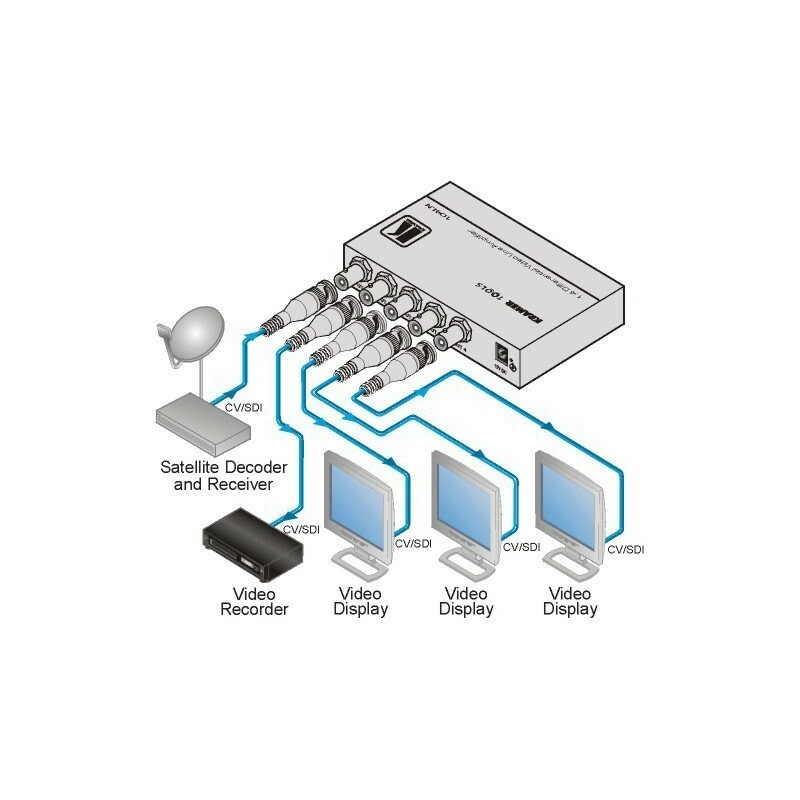 Differential Circuitry — Reduces noise & hum found in long cable runs. Technical data sheet for the Kramer Electronics 104LN 1:4 Composite video differential line amplifier.